When, in 2007, it was announced that one of melodic death metal’s most crucial progenitors, At the Gates, would reform for a string of exclusive live performances the following year, the news had a prophetic quality to it. The Swedish group, whilst still together, never attained the degree of success to which they were entitled with the release of the seminal “Slaughter of the Soul” in 1995; and only in the wake of their disbanding in 1996 did the band and record begin to garner the sort of recognition that was due. 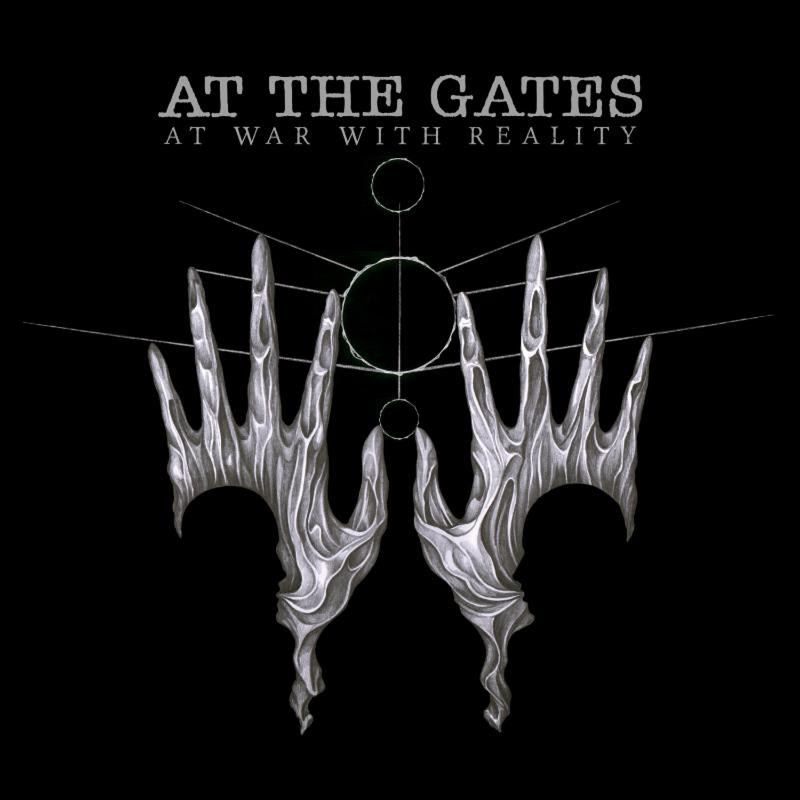 Ironically, over these 11 years in between the legend of At the Gates ensured their continual relevance, and thus without even existing, the band’s reputation grew to such colossal proportions that their triumphant performance (immortalised on film on the “Purgatory Unleashed” DVD) in front of some 70,000 people at Wacken Open Air in 2008 seemed like nothing out of the ordinary. Of course, the exclusive one-off performances gradually transformed into five years of touring the world, the violent disintegration of the Björler brothers’ band since 1996, The Haunted; and, inevitably, the group’s first studio album in 19 years, featuring the same musicians responsible for the creation of one of the most quintessential death metal albums of our time. 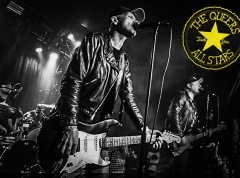 The expectations for the effort, christened “At War With Reality”, have thus been monumental, with few of us risking a guess as to its stylistic direction while hoping, deep inside, that the band had simply dug up a time capsule and continued exactly where they left off nearly two decades ago. And as the eerie, echoing Spanish narration in “El Altar del Dios Desconocido” opens the proceedings, there is much to suggest this is exactly the case, recalling the spoken word of ”We are blinded to the world within us, waiting to be born.” at the beginning of “Blinded by Fear” - the opening track to “Slaughter of the Soul”. But already on the first track proper, “Death and the Labyrinth”, there is the lingering sensation that “At War With Reality” is hardly the game changer its predecessor was. How could it be? That record set fire to an idea which has since been explored almost to exhaustion, and to continue in its direction unconditionally would be to surrender what made At the Gates such a thrilling prospect in the first place: their insistence on evolving with every new release. Despite releasing one album a year from 1992 to 1995, the leap from debut “The Red in the Sky is Ours” to swan song “Slaughter of the Soul” was enormous, the former revelling in the melodious extremity of old school death metal; the latter introducing a raw, mechanical approach which laid the foundations for the birth of metalcore as we know that genre today. If anything, “Death and the Labyrinth” suggests At the Gates delved deep into their origins here with a wall of blast beats and tremolo, and then double backed through the entirety of their discography to finish off with a laudable storm of polyrhythmic drumming (courtesy of the always reliable Adrian Erlandsson) and jarring riffs (by guitarists Anders Björler & Martin Larsson). This singular moment provides ample reason to look forward to the 11 tracks that follow, yet - despite the fact that at no point does “At War With Reality” wind itself into unresolvable knots - the material hereafter comes with considerable variance in terms of lasting value. Technically as well as stylistically all is in order, but as the title track as an early example proves, relying solely on the power of textbook staccato riffs and the sort of melancholy lead characteristic of the melodic death metal genre is no longer sufficient to ensure the band’s relevance. Which is why it is refreshing to discover that Jonas Björler & Adrian Erlandsson haven’t shied away from infusing some of the learnings from their work with The Haunted into the record. This is evidenced early by the standout “Circular Ruins”, which distinguishes itself with a thrashy, chug-based foundation from whence Larsson & A. Björler drive the song first into an unforgettable groove in the chorus, and ultimately a grandiose crescendo at the crest of which rides one of the finest melodies At the Gates ever wrote. Further in, “Eater of Gods” combines start/stop dynamics and momentum in a way that bears the unmistakable hallmark of The Haunted, before unfolding into an eerie, Slayer-esque riff and wailing solo and concluding to the tune of another tremolo melody of the highest order. Together with the album’s concept (based on the literary genre magic realism; in his lyrics, vocalist Tomas Lindberg explores the notion that reality is fluid - something to be discovered and conquered repeatedly, forever), the embracing of the wide variety of influences that have shaped the five members’ careers over the past 19 years not only makes the listening experience full bodied - it also heightens the climactic nature of purebred picks like, “The Conspiracy of the Blind”, “The Head of the Hydra” and “Upon Pillars of Dust”, which, by virtue of their wealth of dark, swirling melodies and dense rhythm sections, sound like a collage of the best snippets of both “The Red in the Sky is Ours” and “Slaughter of the Soul” woven together to depict At the Gates anno Domini. It is the sound of the early-to-mid 90’s Gothenburg scene in modern colours. 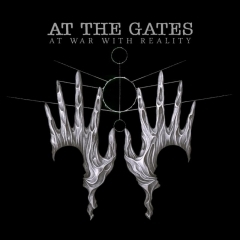 So although “At War With Reality” is not fully up to par with its predecessor in terms of consistency, focus or lasting value overall, its strongest moments still rank in the upper echelons of At the Gates’ repertoire - and indeed the melodic death metal genre as a whole. As an album it betrays very little weakness (just “Order from Chaos” and to some extent the instrumental “City of Mirrors” drag me to the brink of pressing next long before they clock in), with virtually all of the less striking tracks featuring some combination of evocative melodies, inspired percussion and customary death metal groove. That the likes of “Heroes and Tombs”, “The Book of Sand (The Abomination)” and the mournfully immense closing track “The Night Eternal” are not explored in greater detail in this article owes more toward my trying to maintain a readable length, than to their quality as songs; and as such, cueing virtually any of the record’s 13 tracks comes with a guarantee for the truest and best melodic death metal you’ll have heard in years.